A new sports league is recruiting in town. This one is for adults, specifically female golfers. The best part is there are no membership fees – and it sounds like the “Casual League” encourages golfers to just drop in to join them at their weekly tee time. Today may not be the best weather to inspire you to get outdoors. But, I’m optimistic that the greens will be beckoning you by next Monday. Organizers certainly hope so, since that’s the official launch date. The Southborough Golf Club Women’s Casual League will kick off the season on Monday, April 29th, at 9 AM. The league is designed to help you meet other female golfers and have a fun time doing it! There are no league dues; because this is primarily a social league, members are not required to register for a handicap. Come join us! Season runs from April 29th through October (weather permitting). We tee off on Monday mornings at 9 AM. Once the temperature warms up, we will switch to 8 AM. Please arrive at the golf course at least 15 minutes early. You do not have to commit to being there every week. We are very casual! For more information, contact Judy at 508-481-3230. Please leave a message and we will get back to you as soon as possible. Last spring, Algonquin Baseball was disappointed to not make playoffs for the first time in years. This spring, their new coach, who worked under the last two coaches, hopes to help them in their quest to “get back to Algonquin baseball”. Algonquin Regional has a new coach, but he’s eminently familiar with the program. After spending the past eight or so years as a Tomahawks’ assistant, Brian Doherty was tabbed to replace Mike Mocerino. A 2000 graduate of Algonquin, Mocerino stepped down from coaching after being hired as the athletic director at his alma mater. Mocerino coached the Tomahawks for five seasons and succeeded the legendary Neil Burke, who retired in 2013 after 26 seasons overseeing the perennial powerful program. Unfortunately, the team lost both of last week’s games, as did Softball. Overall, spring break wasn’t good to varsity T-Hawks. Boys Rugby lost 12-27 to Catholic Memorial, and Lacrosse’s week was a wash with both Girls and Boys winning and losing games. Only Volleyball had a winning week. The Boys beat both Framingham and Nipmuc 3-0. At the start of the month, Public Works warned that Main Street Reconstruction work would begin in April with dates TBD. As I previously shared, this year’s work will focus on tree clearing and drainage. 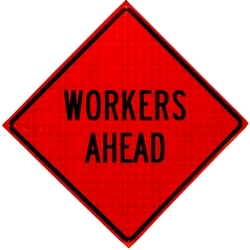 Tree work is starting on Main Street this week. Water by-pass will begin by end of week. By-pass work will start near Sears Road. Be aware that changes to the meeting schedule are known to happen throughout the week. For an updated list of meetings, visit the town website. Here are highlights of what’s happening around town this week. Knitting Club (Senior Center Program) (1:00 – 2:00 pm) @ The Southborough Senior Center, 9 Cordaville Rd: Bi-weekly gathering of knitters working on their own creations and discussing community projects. Stop by for a cup of coffee/tea and visit with the group or join right in! For details, see flyer. Poetry Workshop (6:30 – 8:30 pm) @ Southborough Library, Main Level: At the semi-monthly sessions, Everyone is asked to bring in five copies of their original poetry for supportive feedback. If you don’t have a poem, come and share your insights. The group meets the 2nd and 4th Tuesday of every month. 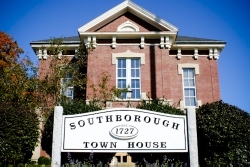 Poet Tea (3:00 – 5:00 pm) @ Southborough Library, main level: Join the Southborough Library for its annual Poet Tea: Tea & Poetry in celebration of National Poetry Month. Refreshments will be provided by volunteers. For details, see dedicated post. Audiobook Club (Sci-Fi/Fantasy books) (7:00 – 8:00 pm) @ Southborough Library, main floor: A monthly club focusing on Science Fiction / Fantasy books. The club will be listening to and/or reading Vengeful by V. E. Schwab. The program is led by library associate Christopher McGinn. 3rd Annual ART Show by NECC (7:00 – 9:00 pm) @ Community House, 28 Main St: A benefit for The New England Center for Children Inc. Attendance is free. Funds will be raised through the silent auction. Enjoy an evening of good conversation, good food, and good art as we thank you for your contribution to NECC and share your impact. For details see Facebook event. Earth Day Cleanup (8:30 am – 11:30 am): 29th Annual Earth Day Cleanup! Spring has sprung and that means the 2019 Earth Day Cleanup day is getting close. Plan to join other volunteers at this fun annual cleanup around town! Volunteers gather at 8:00 am at the Southborough Department of Public Works (DPW) Transfer station to pickup trash bags and adopt a favorite part of town to clean. For details, see dedicated post. Above: The 495/MetroWest Partnership is continuing to push the importance of a 495-MassPike interchange construction project for the regional economy. A meeting held by the 495/MetroWest Partnership included a subject that impacts many commuters and businesses in our town – the state’s project to improve the 495-MassPike interchange. Local media coverage included some details worth sharing – like potential costs. Wicked Local’s coverage of the meeting in Marlborough focused on our neighbors’ US Congress Representative Laurie Trahan. According to the article she showed support for the project. Jonathan Gulliver, highway administrator for the state’s Department of Transportation, said transportation is key to economic development. The state is working to redesign the 495-Mass Pike interchange to handle increased freight traffic and getting employees to work. The new high-speed connection will help ease congestion with a higher traffic capacity and improve safety. The price tag is expected to be $296 million to $413 million, depending on which option is selected. A 25 percent design public hearing is expected in 2020. Trahan, who is still within the first 100 days of her congressional term, said she signed a letter of support for an infrastructure grant for the interchange along with other members of the state delegation. Although the Metrowest Partnership in the past has championed the need for improvements with the nearby Route 9/495 interchange, there was no mention of that in the article. The project map continues to outline the 495 section of the project as starting just south of the Rte 9 cloverleaf. Looking at the state’s information on the project, it doesn’t look like there has been any official status change since I shared news last August. The project is still listed as under environmental review with eventual construction envisioned from 2022-2026. And it appears that they are still accepting comments. (That interactive map does also allow you to comment on issues for nearby roads in our town, including Route 9, and it looks like some people already have.) You can read more here. April is National Poetry Month, and to celebrate, the Southborough Library is again partnering with local Daughters of the British Empire. Southborough Kindergroup has shared details on this year’s Easter Egg Hunt.